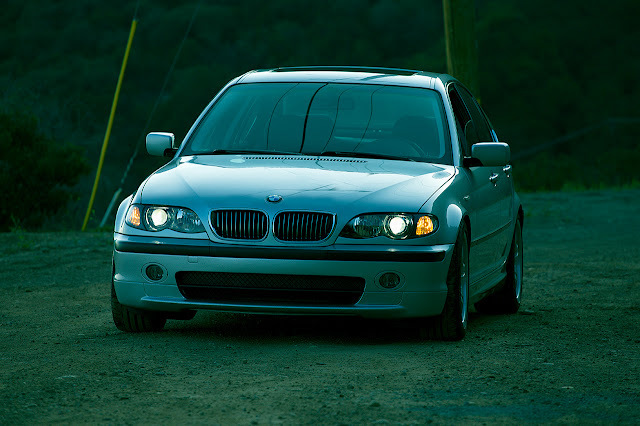 The Definitive Mango BMW E46 Cooling System Blog with Complete Parts list and tips! How difficult would you say it is to redo the entire cooling system? Not hard at all. Basic set of tools and about 5 hours if your first time. Carefully study everything and how it connects and you'll be good. Take pictures along the way. good luck! Replaced: Exp Tank/Cap/Therm, Waterpump, Thermostat, Up/Lo hoses, Heat Control Valve, Radiator drain plug, coolant sensor. My son overheated with cracked Exp Tank, after it cooled, I added prestone, but after replacing parts used BMW coolant on light flush (1.5gal refil)- (taking to BMW for full flush later). After all of this my Eng Temp Gauge runs at Noon (idle or 65MPH) - But I have no heat. Fans work up and down so control unit if fine. I believe I fully bleed the system on ramps. So any ideas (outside of heater core?) e.g. bad repl Therm or ATF Them, any other sensors? I know heat is all about circulation but I cannot find a diagram anywhere online for 01 325I Automatic Coolant Flow (e.g. Eng toValve, valve to Core, Core to Exp Tank). Any thoughts or guidance/links? BTW great write. BMW tho expensive, surprisingly ease to work on for the coolant system at least. The heater control valve is normally open - allowing coolant through the heater core. When the heater control valve is engaged it blocks coolant flow to the heater, this happens when air conditioning is requested. If your symptom is lack of heat try disconnecting the heater control valve. If this produces heat your heater control unit (in dash) is probably keeping the heater control valve engaged all the time - this is a common failure mode for the heater control unit. You should also bleed your system again with the heater control valve disconnected to flush air out of the heater core. If your problem is lack of air conditioning you should suspect your heater control valve. How much coolant do I need for a 323i e45 m54.. also I drained the entire block and radaor... system is empty. BMW coolant not listed on list or total price. Obvious, but don't forget to buy some! I have a 02 325xi and replaced the aux (electric) fan. This fan still won't turn on at all. After checking all the fuses I still have no place to look to find out what part has failed. This is a sensor problem as far as I can tell, but where is the sensor, what is it called? Same issue. I've put a meter on the wiring to both the temperature sensor and the emission sensor. Wiring is not the issue. I hear the emission sensor will give you a warning in the dash.. the temperature sensor directly below the plug for the aux. Fan checked out and showed signs of clear resistance change from when the car was cold to hot. Not sure what to make of it.. Thanks for your blog. It is a great source of information. 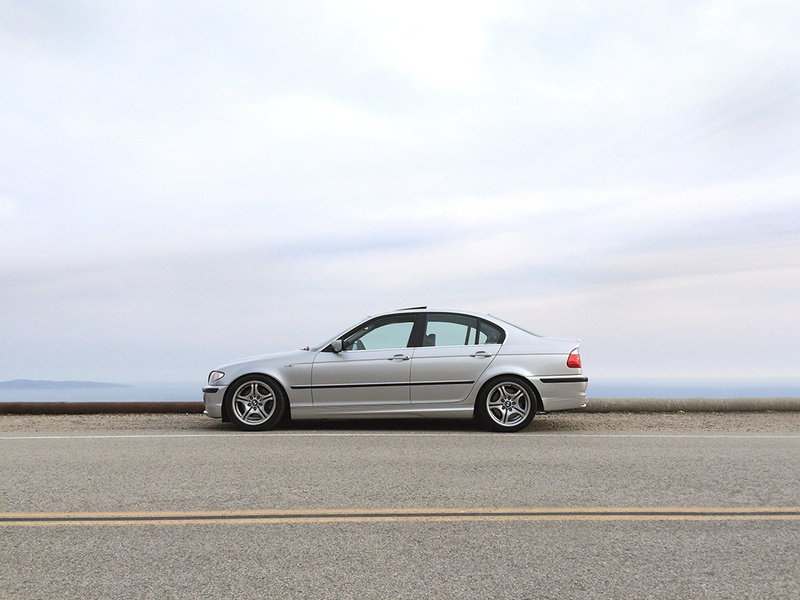 I am a french people with a 1999 323i E46, 164k Miles (262mKm). The water pump and expansion tank was never changed ! The thermostat was changed in 2002, it was a BMW service operation. I made an Inspection II and I bleed the coolant system, threee month later the expansion tank has a leak. Fortunately I follow all your recomendations, I changed the expansion tank + cap, water pump, thermostat, tensioner pulleys and belts. Thanks for the blog - great info. Having recently gone through a catastrophic cooling system failure I'd like to add my 2 cents about some components that have not been mentioned. The temp gauge on an E46 is buffered and will show 'normal' (12 o'clock) from about 75-100C. It will give you very little warning of overheating or underheating problems, to see the actual coolant temperature in digital format on the dash use the onboard computer test menu #19 submenu #7. 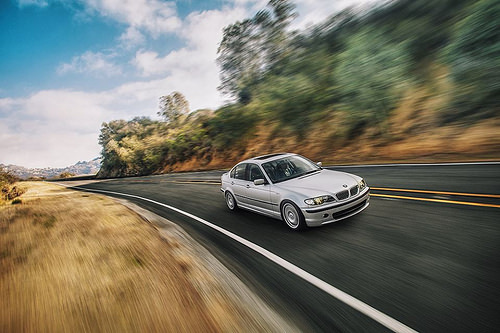 Some E46 models have an electric fan, some have a mechanical fan, and some have both. On a model with a mechanical fan (clutch driven) the electric fan is supplemental; but on a model with no mechanical fan the electric fan is the only way to create airflow through the radiator when the vehicle is stopped. A failed electrical cooling fan is therefore a common cause of catastrophic failure at low speeds - in my case I was waiting to pickup my son on a hot day with the aircond on and boom the expansion tank exploded with no warning at all. The upshot is that if you have an electric fan you need to regularly test whether it's working or not, because the car will give you no indication that it has failed. They are a variable speed affair with three connections - power, ground and a pulse width modulated duty cycle - so they're not easy to test on the bench - but should come on briefly when you start the engine, should come on all the time when you have air conditioning on, should come on if you disconnect the coolant temp sensor at the lower radiator hose. These are very sensitive to over-filling. If the float level indicator is pinned to the 'max' position then you have too much coolant in the system - keep the float level mid-way between the low and high positions. The heater control valve is an electro mechanical switch that controls coolant flow through the heater core. It is normally open, allowing coolant through the heater core, and is driven closed by the heater control unit when air conditioning is requested. These may fail electrically and be open all the time, or they may fail mechanically and stick open or closed. To diagnose a heater control valve while it is on the vehicle ask for heat, disconnect the valve electrically and check that both hoses become hot. If they do the valve is normally open as it should be. While still asking for heat reconnect the valve electrically and check that both hoses remain hot. If one of them becomes cool the heater control unit is incorrectly closing the valve when heat is requested. Next ask for air conditioning. This should close the valve and one of the hoses should become cool. These engage the heater control valve when air conditioning is requested, but they commonly fail in a way that engages the heater control valve all the time. The symptom of this problem is no cabin heat. See above for diagnosis, but to summarize if you have no cabin heat disconnect your heater control valve. If that produces heat your controller is faulty. Some models have an auxilliary water pump under the heater control units. The purpose of this pump is to cycle coolant through the heater core after the engine is turned off, but they may also be used effectively to bleed the cooling system. You need to be aware of whether you have one of these or not. There are lots of instructions out there on how to do this, but in general the instructions presume that a) you have an auxilliary water pump, b) your heater control valve / heater are operating normally, and c) your thermostat is operating normally and opens electrically. You should understand what equipment you have when you are bleeding the system and you should keep your circumstances in mind - if you are trying to correct a problem it's possible that the problem itself is preventing you from bleeding your cooling system correctly. If you have an auxilliary water pump and everything is operating correctly you can effectively bleed your system without starting the vehicle. With the engine cold remove the radiator cap and bleed screw, turn the ignition to start, and set the heat and the fan to max. This opens the heater control valve so coolant flows through the heater core, engages the thermostat heater to open the thermostat, and engages the auxilliary water pump to circulate coolant. You should be able to hear the aux water pump operating and (if you have enough coolant) you should see in the expansion tank neck a needle of coolant flowing. Add coolant to the expansion tank until it starts running out of the bleed screw holes with no air present, and then close the bleed screw. Squeeze the RAD and heater hoses for awhile to help any trapped air escape. Slowly add coolant until the float gauge comes off bottom, and then turn the ignition OFF. 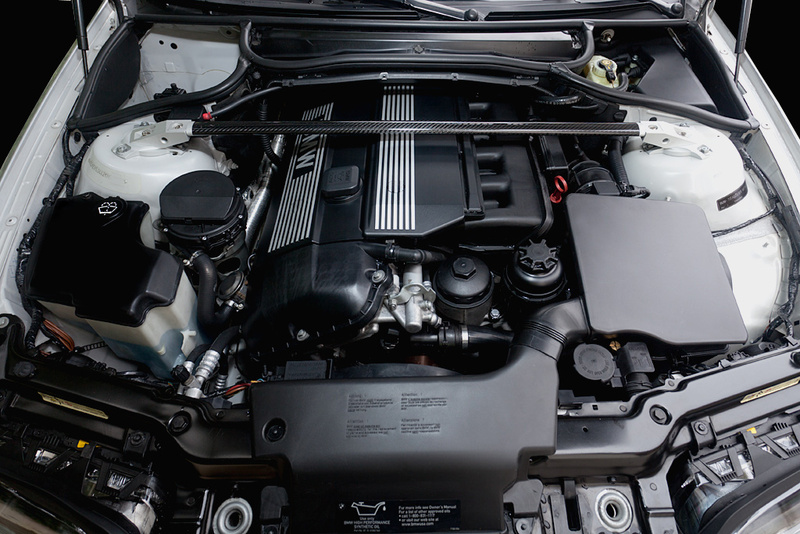 Adjust the final expansion tank fill level with the engine off, and be careful to set the level between min and max. Don't overfill - use a hand pump to remove coolant if you need to. Do all this preferably with the front end of the vehicle on ramps to help air escape more easily. If you do NOT have an auxilliary water pump everything is basically the same, except that after closing the bleed screw you need to run the engine while you fill the expansion tank. Finally, if you have any doubts about the health of your heater control unit you should also disconnect the heater control valve to ensure that coolant circulates through the heater while bleeding. I've had issues along with some others using the gates hoses where the seals lose their seal and start to leak. I ended up buying the BMW part for 5x the price after dealing with the leak for a month. I've been getting an Auxiliary water pump error on my 2001 325i. There is no such thing but only the water valve which I replaced along with a new water pump, thermostat during a cooling system overhaul. Any idea what else it could be? Wonderful article, such a great information. I really appreciate your writing skills. It has been my belief that great writing like this requires exploration and also talent. It’s very apparent you have done your homework. Incredibly good work! Thank you for helping me to avoid E46 pitfalls. Hello , can I use prestone 50/50 coolant from Walmart ? Why can't u use the concentrated full antifreeze ? Never open your radiator when the engine is hot. The pressure in the system can cause hot coolant to splash out and burn you. I hope you can help. I have a 2003 325ci and it has started to over heat. I have changed the water pump, thermostat, fan clutch, expansion tank and it still over heats. It does not have any of the signs of it being a blown head gasket so what else could it be. It can be anything you haven't changed yet. You need both water and air to flow in a sealed environment in order to stay within operating temperature. You have to find out where the chain is broken.